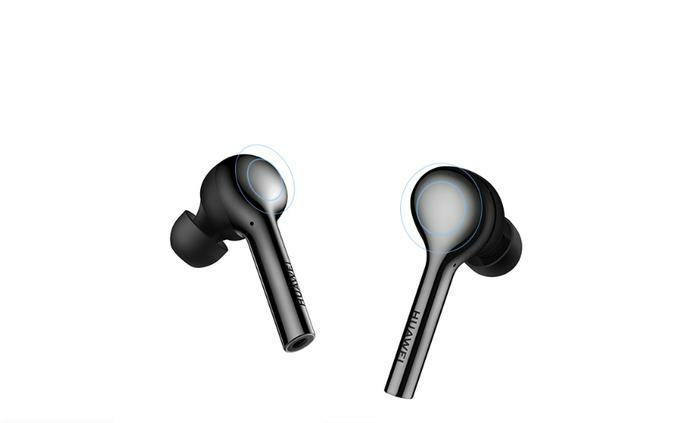 Huawei’s FreeBuds are more modest than they are meaningfully-innovative. The Huawei FreeBuds aren’t exactly subtle about their inspirations. But then again, maybe that’s the point. Perhaps that’s always been the point. Huawei don’t do subtle. I mean, check out some of their reactions on Twitter to the announcement of the Samsung Galaxy Note 9. And, up until very recently, matching the competition kinda was what a big part of what Huawei were about. Do it better. Do it cheaper. Even if it’s not a unique angle, it’s a perfectly legitimate one. Match the market leader - either on price, aesthetics or features - and consumers start to question how much the competition can really be worth. Sticking a notch on your next smartphone isn’t going to bury the iPhone X. Throw in a face ID system, Animoji-analogue, OLED display, wireless earbuds and a superior seflie-cam - and it all starts to add up. It’s a real death-by-a-thousand-cuts sort-of strategy. After all, if you can get a cheaper phone that offers just as much, why spend more? If the seduction of brand power is the only thing left on the table, it can start to lose its allure. 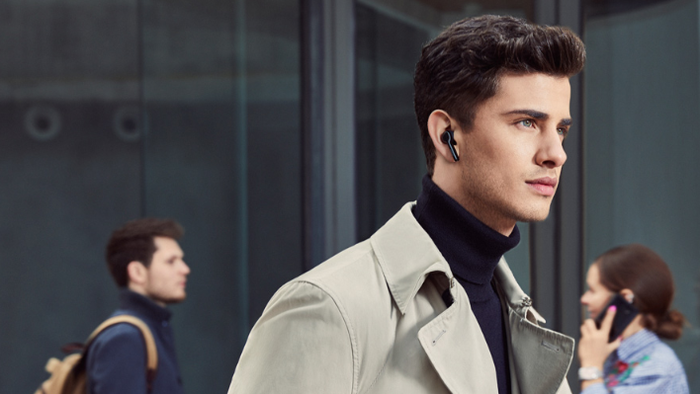 At times, the Huawei Freebuds feel like a throwback to the Huawei of yesteryear. Other times, they feel like a mix-tape. A greatest hits list of features, design choices and dot-points pulled from elsewhere. Aesthetic detritus cobbled together and encased in glossy plastic - a tech company’s steadfast ally when it comes to covering up the seams. The FreeBuds have the toothbrush-tip looks of Apple’s own AirPods, the battery life of Jaybird’s RUN, the haptic one-touch controls of Samsung’s IconX earbuds, the voice assistant integration of Sony’s WF-1000X, the IP54 weatherproofing of the PumpAir Sportsbuds and the built-in ENC microphones of the Jabra Elite 65ts. With the FreePlay earbuds, Huawei cherry-picked some of the best features from their competition. Unfortunately, as a result of so many things trying to squeeze into frame, it’s inevitably left askew. The final product here leans more towards jack of all trades than master of any particular one. The FreeBuds sound decent but rarely exceptional. The sound quality here is audible enough that you’re not going to strain to hear the lyrics. But, at the same time, it’s got a roughness around the edges that clearly sees it sit behind higher-fidelity alternatives out there. Pulling from as many other earbuds as it does, it’s frustrating to see the FreeBuds also replicate the pain-points of its competition as well as their strengths. The haptic touch controls can often be quite finicky. Half the time, they’ll activate when you don’t want them to. The other half of the time, they’ll refuse to active when you do want them to. And across the board, really, the FreeBuds lag behind. There are plenty of modern true wireless options out there with superior battery life. There are plenty out there with beefier audio fidelity. There are plenty out there with better weatherproofing and noise-cancelling. The FreeBuds do have a slight advantage when it comes to price versus the AirPods. But when spending that extra $100 can get you so much more, it’s hard to lean on this as too much of highlight. The one meaningful exception here comes in connectivity. 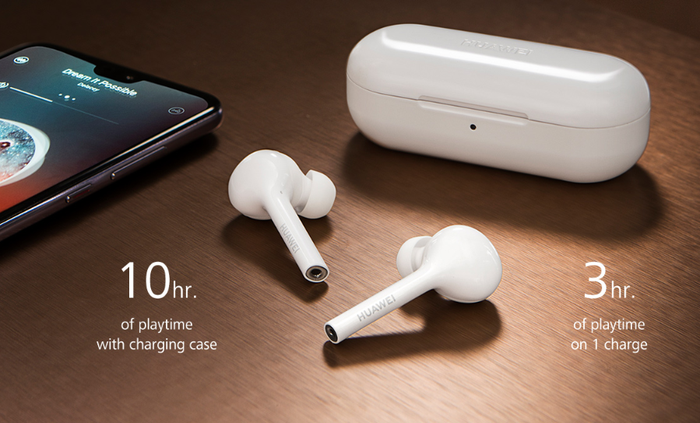 Despite being a first-gen effort from Huawei, the FreeBuds are remarkable solid when it comes to connection strength. I experienced very little, if any, dropouts or audio lag while using these headphones. Huawei’s FreeBuds are more modest than they are meaningfully-innovative or ambitious. But there are definitely worse true wireless earbuds out there. These feel like a product designed to subtract value from Apple’s premium price-tag more than they are one that adds to Huawei’s own growing cache. And for the most part, they’re good enough. A solid value add, if you’re looking to pick up Huawei’s latest Nova 3i but hard to recommend on their own merits when there are so many other options out there - and more exceptional ones at that.